If you have been following me for a while, you may have heard me say this. If you attended one of my recent webinars, you may heard it. If you asked a question regarding guest blogging in a Facebook group, you may have seen this. So yes, I say this all the time. When done right, guest blogging fills your list with the warmest leads, and sends clients your way. Best of all, it is free. Sure it takes time, but what doesn’t? As a said, I am a huge advocate. Especially for those of you who are new to business. You might be someone who doesn’t even have a product or a service because your list is small (and we all know you need a list to sell your offerings). Or, you might be a service-based professional who works mostly one on one. So you might coach people, or write their copy, or design their website, or teach yoga or sewing or art. If you want to grow your business, if you want to sell more or if you want to create your first ecourse: you need to reach more people. And there are different strategies you can implement to do just that. If you are new, and have more time than money, then go for guest blogging. 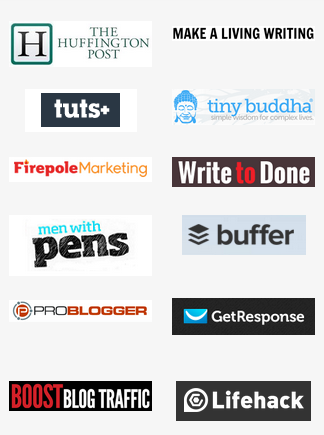 I built my list to 3000+ people in my first year exclusively using guest blogging. If you are at a stage where you can invest a bit of money, use Facebook ads to scale your list quickly. Which I do now. And in case you were wondering, that would be my favourite, number one choice for list building, but do this only when you can allocate at least a few hundred dollars to it every month. Let’s focus on guest blogging for now, shall we? Here are 3 great reasons why every service professional should guest blog in their business. Do you want the ability to display those ‘as seen on’ logos on your website? Who doesn’t. Guest posting allows you to showcase all the sites you have been published on. My guest blogging portfolio includes The Huffington Post, Boost Blog Traffic, Problogger, Tiny Buddha, Write to Done, Men with Pens. I mostly wrote about content creation and blogging for business so it made perfect sense for me to publish on these sites. Now I gearing towards sites on entrepreneurship. There might be sites that are more relevant to you. Mind Body Green, Entrepreneur, CopyBlogger, Lifehacker, Daily Love, for example. When you write for somebody else, an influencer, you get their endorsement by default. They won’t publish your piece if they didn’t think you are really good, right? You also catch the eye of other bloggers, podcasters and potential partners. You will receive requests to get interviewed, write posts or collaborate on a project. People start to notice you. And this is an awesome thing. Every time you post somewhere, you will get a spike in traffic to your blog. Depending on how well you have researched the blog and your topic idea, you could get hundreds of subscribers from a single post. Happened to me. That being said, even if you get 50 shiny new subscribers from a single guest post, that is worth celebrating. When you build your email list using Facebook ads, you can expect to pay $1 to $5 for EVERY subscriber who joins your list. Let’s say you average $2. This means by publishing one post and adding 50 subscribers to your list, you have saved $100. Not bad, right? Also, don’t forget these people are super high quality leads. Why? Because they consumed a piece of content and loved it enough to click the link down the bottom, come over to your site and sign up. They approached me because they had seen my work across multiple sites and really liked it. They came to me asking for my rates and availability. I didn’t have to do any selling. Now, I am not promising that this will happen to you as well. However, I can tell you this, every time I guest blog, I get a bunch of new subscribers but I also get a client or two as a direct result. And even if I don’t, these people are still on my list and there is a good chance that they will invest eventually. There are a few additional benefits you get as a result of guest blogging as well. When people use Google to search for a particular topic, it is highly likely that your guest post will appear and you will get some traffic off of that. You are attracting high quality backlinks from these sites so your search engine rankings improve your time. And lastly, even if you don’t get hundreds of subscribers from a single post, you are still building brand awareness and that is worth something. So now I want to know. Have you done any guest blogging before? If not, why? If you have, how were the results? 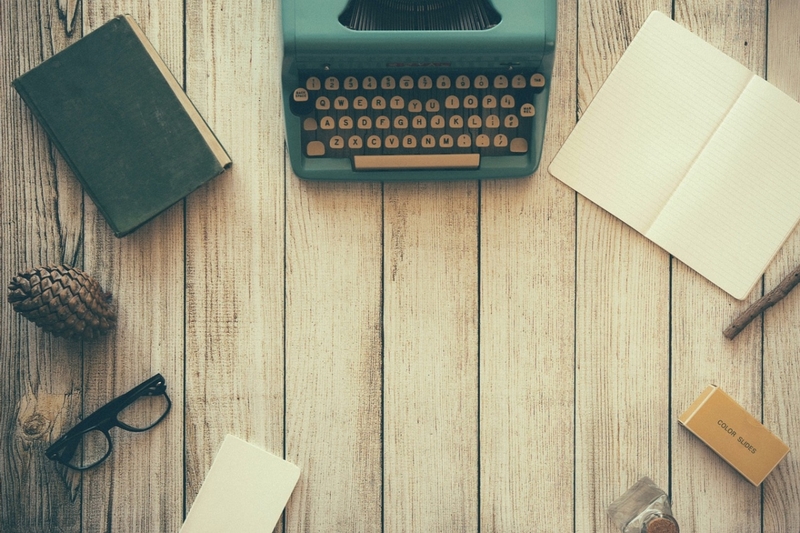 What questions have you got about guest blogging for business? I have been trying for a while to get an email list going and can’t seem to get it off the ground. How to you 1. Guest blog 2. Find blogs to write for? In my particular genre I’m not sure what I would be blogging about. Okay, so you firstly make a list of blogs to write for. You can do a Google search for ‘Top 50/100 blogs in ____’ (insert your niche/industry). Secondly, look at the blogs you already follow. And finally, have you got any friends or colleagues that blog? After this initial phase, you will narrow down your list, come up with the right idea and send them a pitch. Once you idea is accepted and your post is published, the host blogger will promote the guest post to their list and you will get traffic/subscribers from the link in your bio. This is the whole process in a nutshell. Hope this helps! And how are you building your email list? Care to share? I tried doing a Facebook ad with a giveaway and got a decent amount of visitors to my website but for some reason not one person signed up for my newsletter which would enter them in a drawing for the giveaway. Denise, it’s very hard to give any advice regarding FB ads without taking a look at the ad and the landing page. But if you are saying you got a decent amount of traffic, then it’s safe to assume it’s not the ad. It just might be the landing page. Maybe you need to make it stronger or clearer. Could you show it to someone who has experience in landing pages? Create a blog can bring many benefits, but creating and maintaining a blog is a task to be taken seriously, that takes time and effort to get the results you so desire. Firstly, thank you for sharing these tips. I do however have a query. So I want to write quality content on corporate gifting but as it sounds, my target audience is very niche. How do I discover the audience in my niche and how do i reach out to them. Would be great if you could help me out. Thanks in advance. I enjoyed your blog post regarding guest blogging! Great Stuff! Thanks! I already knew these 3 tips (I have read similar tips so many times), but yet reading this article has benefited as now I’ll always keep them in my mind. For years I stayed away from guest blogging since it didn’t make sense to me to write stuff for others. But I have started applying this strategy and it helped me a lot in the past months. Will try to land more guest posts in the near future and hope to see some exciting results. This is such a good post and it’s good to know how powerful guest blogging can be. Why? Because I’m seriously getting into it right now and have 3 guest blogs to be published soon! The great part is that I had already connected with these bloggers, so I didn’t even have to pitch. It will be fun to track how much leads I’ll be able to generate from my guest blogging efforts within the next few months, I’m sure. I’m glad to hear you get clients as a direct result! Your article just got me even more pumped up to publish some excellent guest posts. Thanks for sharing, Marya. Have a great weekend ahead! I like the idea of your post. I really enjoyed reading the post. Mostly I liked the third point of your clients and clients queries. I found your way to attract clients kind of unique and easy. Hoping that it is effective as well. Going to walk on your directed path. Thanks for the tips. One of the issues I’m facing is subscriber retention. I’m able to bring in subscribers for certain posts but I was not getting attention from niche subscribers when I do blogs on other subjects. This sentence… When done right, guest blogging fills your list with the warmest leads, and sends clients your way. Best of all, it is free. Sums up everything to make you stick to the post till the end.. Thank you for the really great post, Marya..